Relax your body, move your soul… A chill-out radio for daydreaming lovers! A fine selection of Smooth jazz, easy listening and downtempo to liberate your mind. A ideal quiet sound to surf the web, at work, or for cocktail with friends. 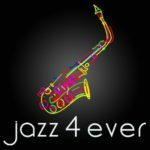 The best 24/7, online, Smooth Jazz Internet Radio station: largest global contemporary jazz community, jazz charts, jazz festivals and jazz artists.